As the Director of Wellington Villa Nursery I felt that you would appreciate a little background information. My Name is Nina Johnson-Murphy and I have a wealth of experience in the field of Nursery care in addition to many qualifications. Around 13 years ago I decided to offer Top quality childcare in my own nursery; drawing on all the best practices I had learnt over the years. We have a strong team approach and are very fortunate to have the services of Mrs Shauneen Wainwright, Deputy Manager and Qualified Early Years Teacher. Shauneen has a wealth of knowledge, skills and experience and is passionate about childcare in the early years. Her main focus in pre-school is to teach the children mindfulness and relaxation in preparation for the transition to Big school, ensuring they are competent learners and they have a strong emotional well-being. We aim to offer high quality child care at Wellington Villa Nursery, the best possible for our children; planning the learning environment, supporting and extending children’s play and assessing children’s achievements in order to plan and develop their next steps. Through offering learning experiences of the highest quality, our children can develop and grow through play, socialising and enhancing their skills and achievements. 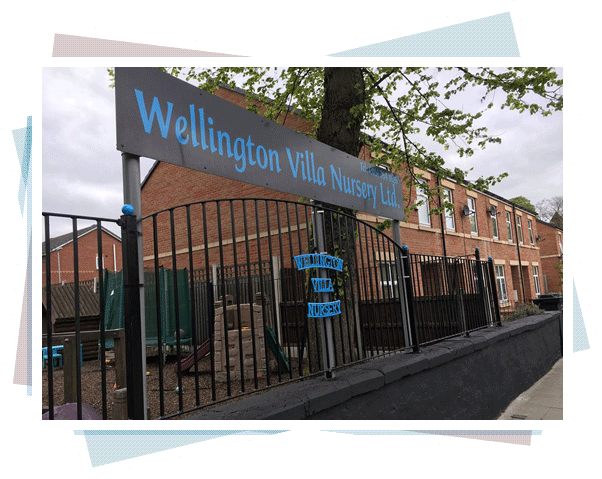 Here at Wellington Villa Nursery, the children come first – their safety, health, developmental needs and of course, happiness are paramount. Our staff and kitchen team are committed to our principles and through their efforts, we have earned an outstanding reputation for the quality of care that we provide. A sample of our menu is available here for your further information. If you have any concerns or your child has special dietary requirements, don’t hesitate to talk to us and we will do all we can to ensure a perfect balance. I realise that choosing child care is a difficult and important decision, but I know that we offer an excellent standard of care and that children benefit greatly from the learning opportunities and experiences that we provide here at Wellington Villa Nursery. My promise to you is that all of our staff at Wellington Villa Nursery will care and provide for your child/children, learning requirements as an individual. 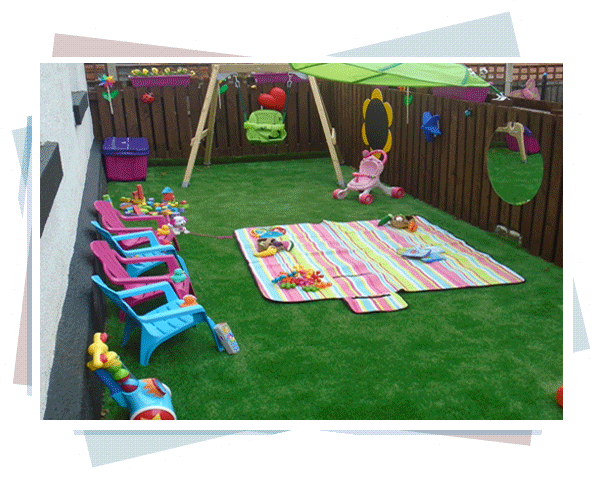 Our delightful and happy nursery is situated on Bolton Road, within easy commuting distance from Bolton, Bury, Ramsbottom and the surrounding areas. Parking is available at the back of nursery, allowing safe access. If you have any comments or questions or would like to discuss anything regarding your child or our nursery establishment, then please come and see me at your earliest convenience.